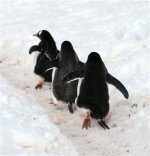 Our big adventure for this year is a trip to Antarctica. It is like no other place we have visited. This continent is the coldest, highest, driest and most inhospitable continent on Earth. 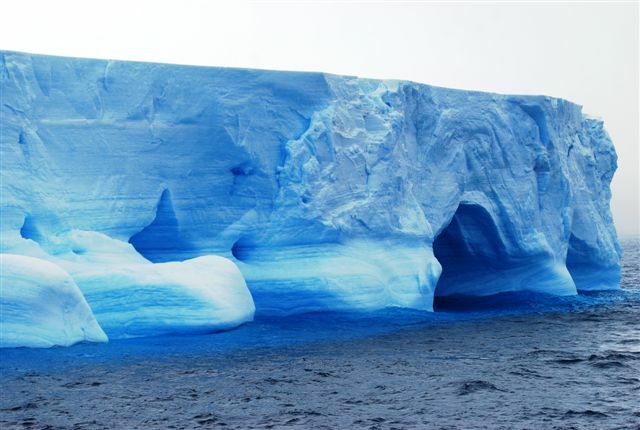 It covers almost one-tenth of the earth’s surface and supports the greatest mass of ice in the world. It certainly isn’t an easy place to get to. We first have a 10 hour flight from Atlanta to Buenos Aires, Argentina. 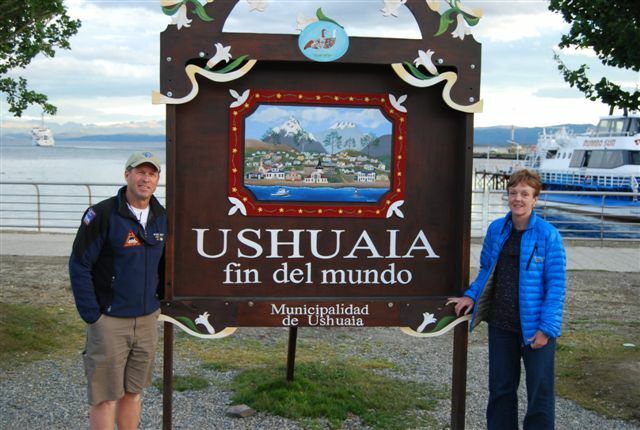 We then have another 5 hour flight to Ushuaia which is the southern most city in the world. 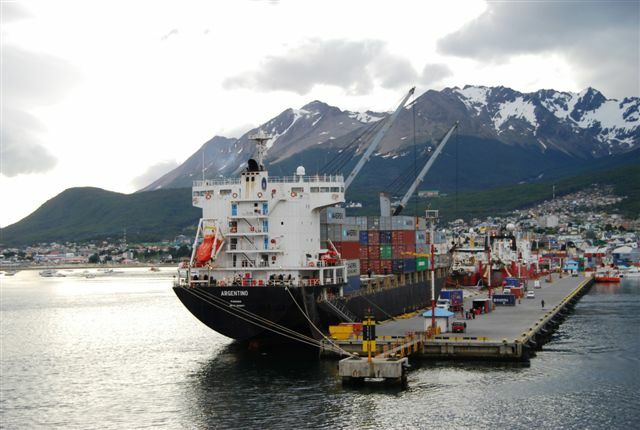 In Ushuaia we board “Le Boreal” a 440 ft. ship which will be our home while exploring the white continent. Flying into Ushuaia, we are rewarded with our first views of the spectacular snow capped peaks of the Tierra del Fuego National Park. The southern end of the rugged Patagonia mountain chain is equally impressive. The two mountain ranges are separated by the Beagle Channel which is the waterway we will be traveling in just a few hours. After a quick tour of Ushuaia, we are soon aboard “Le Boreal”. She is a new ship being in operation only since 2010. The ship was built in Italy and you can the European influence in her design. 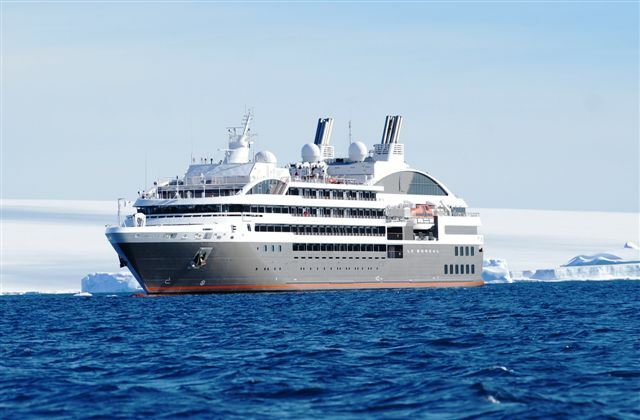 Le Boreal has earned the international “Green Ship” label for her environmental efficiency of operation and is built with the latest in environmental technology for propulsion, grey water, and black water. 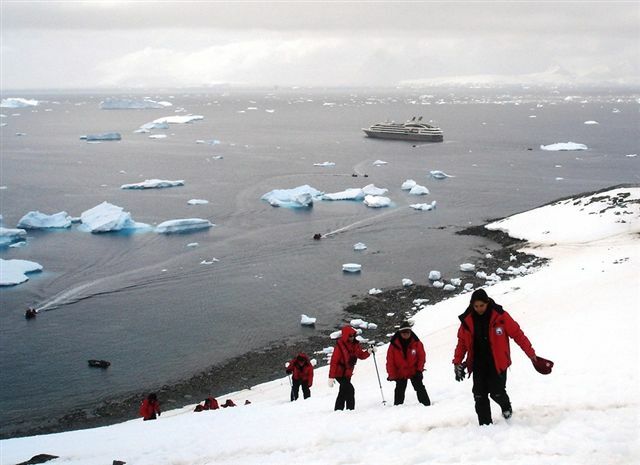 There are 184 guests aboard along with 150 crew members for our Antarctica Expedition. We are traveling with a group from the Tennessee Aquarium. Thom Benson, the media communication director for the Aquarium, along with our good friends, Marty and Suzanne, are also aboard. Marty and Suzanne own the Krogen “Alizann” which is a sister boat to “Idyll Time”. Although we would all like to be doing this trip aboard our Krogens, our ice trip may prove this to be a foolish thought. We begin our journey down the Beagle Channel this evening and should be out into the Drake sometime during the night. The weather forecast looks good so maybe the seas will not be too bad for our crossing. We awoke to surprisingly calm seas this morning. 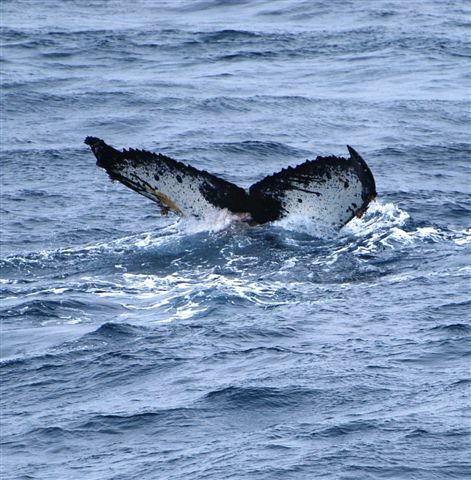 The Drake Passage is being very kind to us today. The winds are a light 10 mph with seas of only 4-5 feet. The staff terms this the “Drake Lake”. One staff member who has made the crossing many times over the last seven years told us that this was the calmest he has ever seen the Drake. Will our luck hold out? Traveling at 14 Knots, it will take us almost two days to make this treacherous crossing. 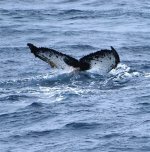 Our time is filled with many lecturers on birds, whales, weather, Antarctica history by the experienced naturalists aboard. We spend much of our free time over the next few days in the pilot house. Unlike most cruise ships, the captain of Le Boreal has an “open bridge” policy. 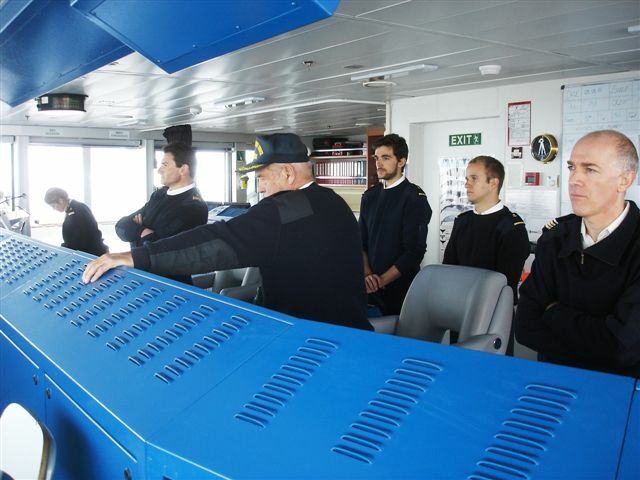 We are allowed in the bridge at any time even when navigating in difficult situations. Much of the ships navigational equipment is similar to what we have aboard Idyll Time, just bigger. 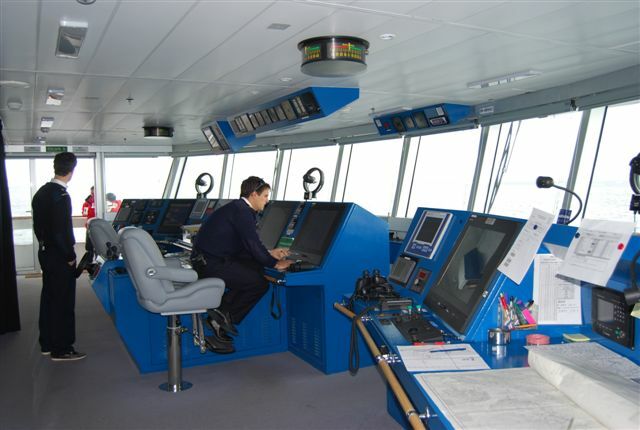 It is fascinating to spend time on the bridge watching the Captain and staff operate the ship. Over the next week, Suzanne, Marty, Jeff, and I become regulars here on the bridge. The trip was made much more special because of this “Open Bridge” policy. The Captain made a comment at the end of the cruise that some people spent more time on the bridge than in their room. He was referring to the four of us. Out in the Drake, we are soon joined by the sea birds as they hover over our stern wake. 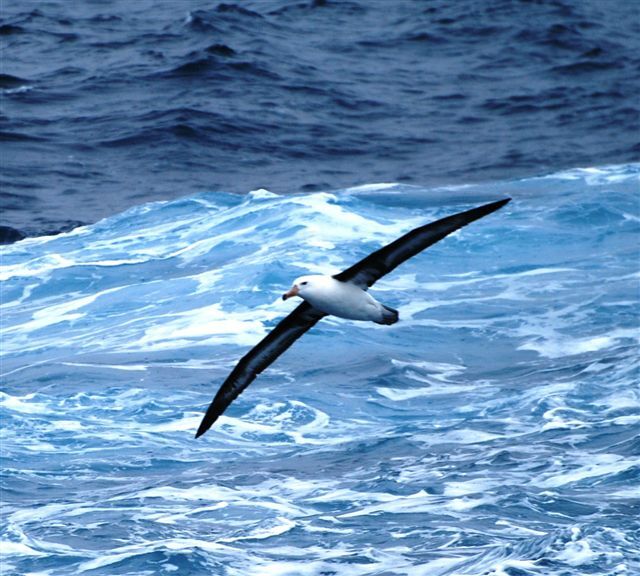 Along with the storm petrels, several albatrosses are soon spotted. 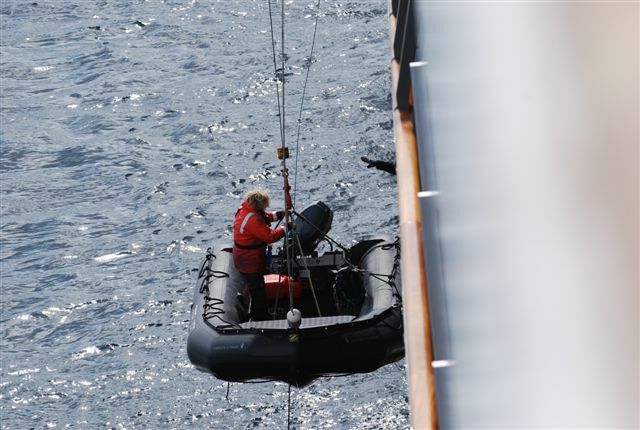 It isn’t long before the captain announces that a pod of Orcas was sighted off our stern. The ship is quickly turned around for a closer look. 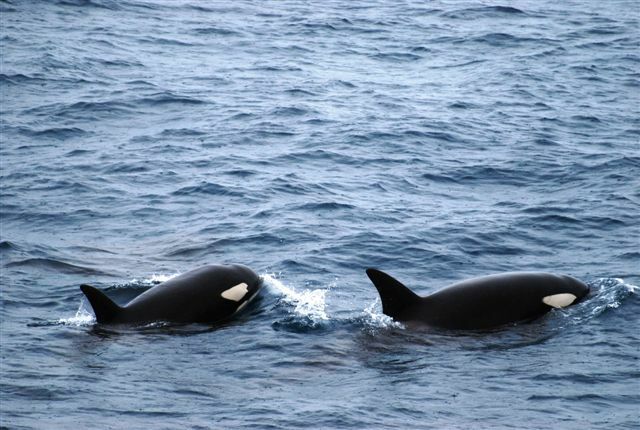 With cameras in hand, we head to the bridge where we are rewarded with great views of these killer whales. For the next hour we watch as these whales swim and play just off our bow. What a great beginning to our trip. 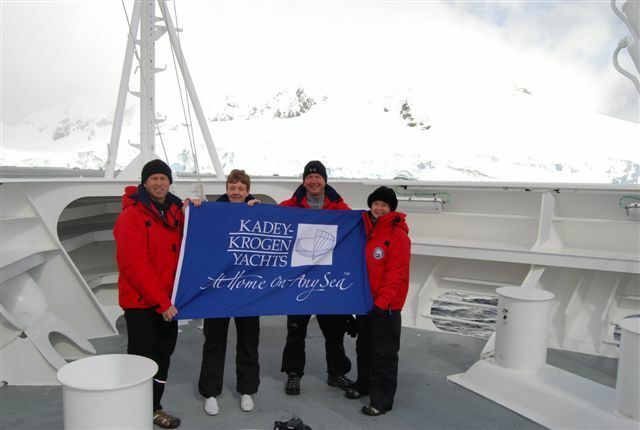 At 6:30 PM this evening, we crossed the Antarctic Convergence which is considered the biological boundary of Antarctica. This is the region where the cold Antarctic water meets the warmer waters of the northern oceans. This position is not fixed but will wander north and south anywhere between 50 to 60 degrees south. At this convergence, there is a sharp decrease in the water temperature, as much as 41 deg. F. in a 20 mile area. We are now in Antarctic waters. 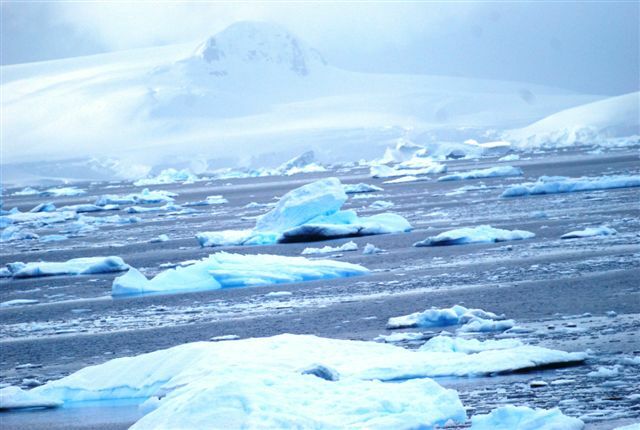 These waters south of the convergence contain the coldest and densest water in the world and have a major influence on the global climate. As this water moves into the Northern hemisphere, it has a cooling effect on the tropical and temperate seas and is a very important component to the earths heat balance. Our luck continued to hold on Sunday with the seas continuing to remain calm. Just after breakfast, we had another sighting of whales. This time they were Humpbacks. We again were rewarded with great views of these magnificent animals just off our bow. Everyone is now on the lookout for icebergs. The captain is offering a bottle of Champaign to the first person who spots a berg larger than our ship. Our first berg is soon spotted just after breakfast by Fletcher, an 8 year old and only child on the trip. We are soon traveling through an area know as “Ice Berg alley”. Many of these huge icebergs are a type known as “tabular” or flat topped and are formed by calving from the Antarctic ice shelves. 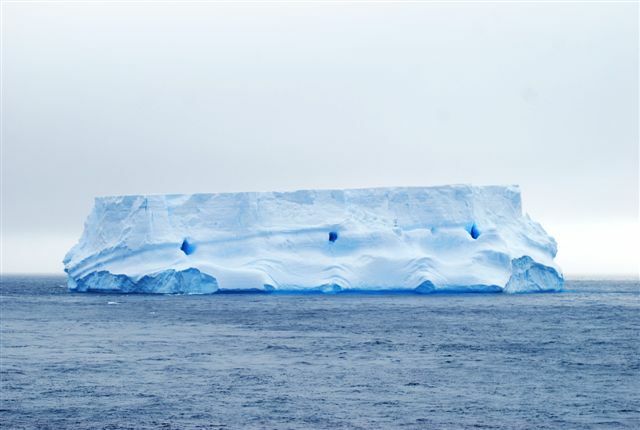 Some of these bergs can be up to 60 miles long. It is fascinating to be weaving through these massive bergs. They are quite impressive especially when you consider that 2/3rds of the berg extends below the water. It is comforting to know that in addition to our Ship Captain, we have a second “Ice Captain” aboard. The “Ice Captain”, Captain Aye, has over 35 years of experience in these waters and provides valuable information to Captain Patrick while navigating though the treacherous ice. 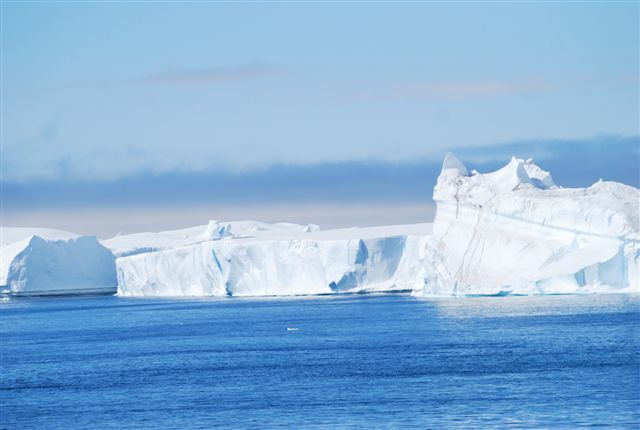 It has been estimated that there are up to 300 thousand icebergs in the Southern Ocean at any one time. This evening we learn that there has been a major change in our plans. 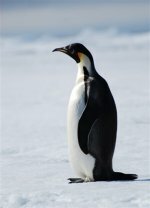 The Captain just received information from another ship that the there is an opening of the pack ice in the Weddell Sea. This area on the east side of the Antarctica Peninsula is very rarely open for navigation due to the ice. The strong North winds last week have pushed the pack ice south. Our original plans are thrown out the window and we are now headed through the Antarctic Sound and into the Weddell Sea. Everyone is very excited about the possibility of exploring this seldom visited area. 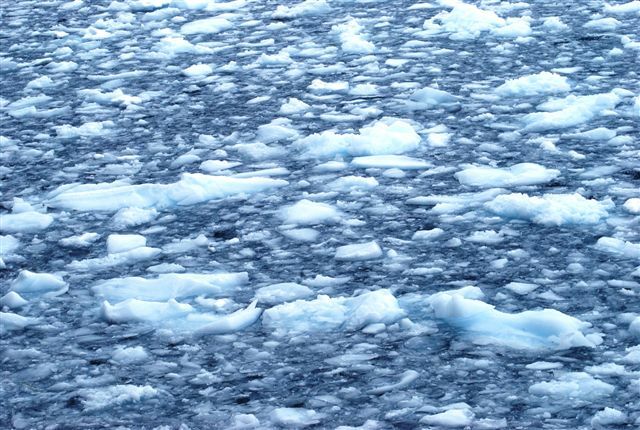 We are now working our way to the edge of the pack ice in the Weddell Sea. During the night our Captain and Ice Captain weaved their way through the ice and we are now lowering the anchor just off Snow Island. Our location is 64 degrees 29’ south. We awoke to a towering iceberg out our stateroom window. 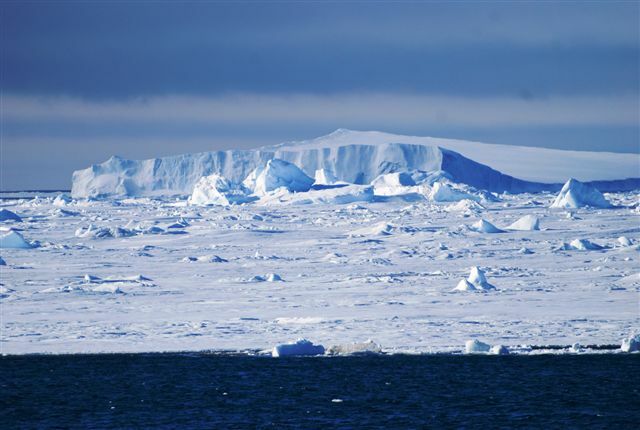 The view is spectacular with the pristine snow and blue hues reflecting off the pack ice. As I glanced outside, I noticed what appeared to be people on the ice. I soon realized it was not people but very large penguins. It turns out to be Emperor Penguins, the largest of the penguin species. What a special treat this is. We had not expected to see the Emperors on this trip. They are very stately looking as they stand almost three feet tall and can weigh up to 100 pounds. The dinghies are quickly put in the water for our first explorations. 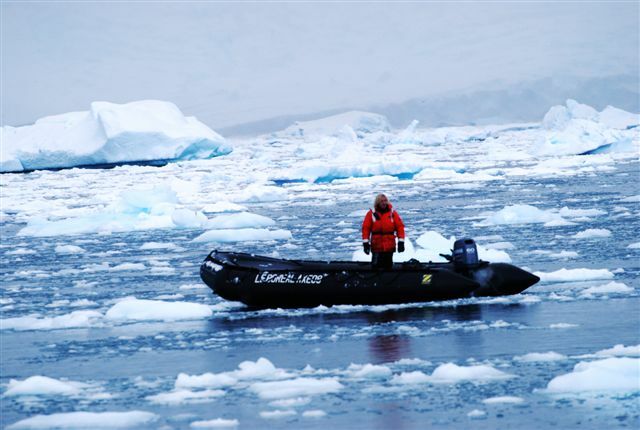 We can not make a landing here due to the ice but our wanderings in the zodiacs are incredible. 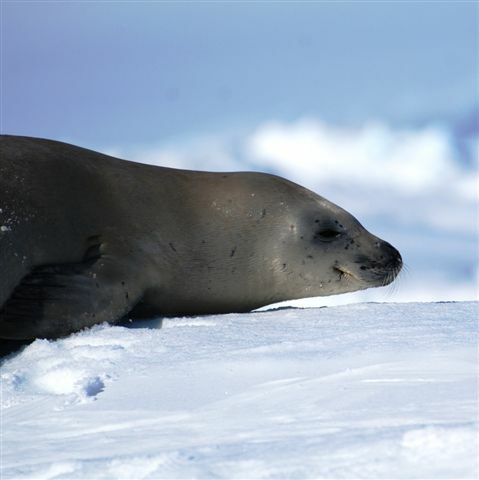 We spend several hours out on the water watching Emperor and Adelie Penguins along with a few Weddell seals. We learn that the Emperors have only been seen in this area for the last 10 years. It seems that the Global Warming has made an impact on this species and they are now moving into new areas. 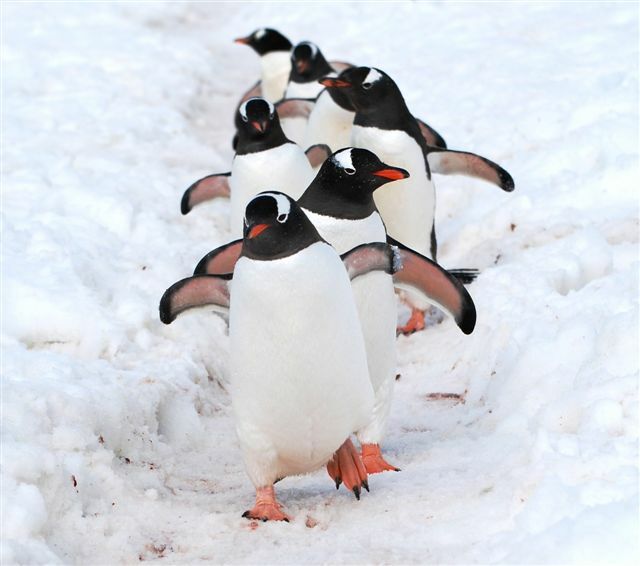 The Adelies are quite fun to watch as they march in a line, some standing tall while others toboggan on their stomach. Staring at you with their big white rimmed eyes, they seem very inquisitive and show no fear of humans. This afternoon the captain moves Le Boreal north to Paulet Island where we are able to make our first landing to shore. 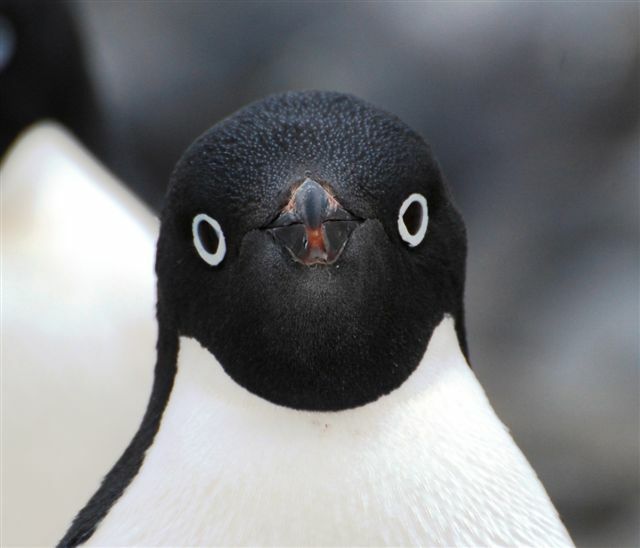 This extinct volcano is home to more than 100 thousand breeding pair of Adelie penguins. 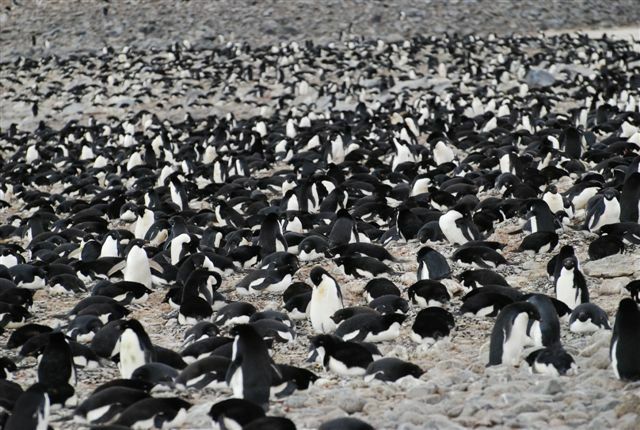 Once anchored, the distinctive smell emanating from the penguin colony immediately became apparent. The dinghies were quickly deployed as everyone was eager to get ashore. It was quite special to spend the day observing the antics of the penguins. 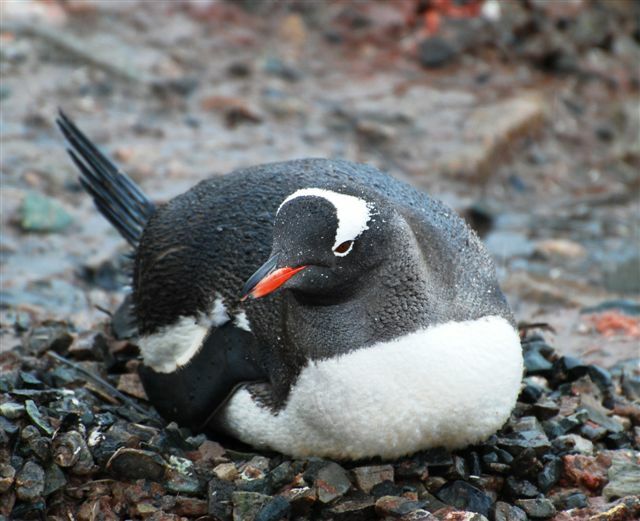 Many of the penguins were sitting on eggs and a few even had chicks. 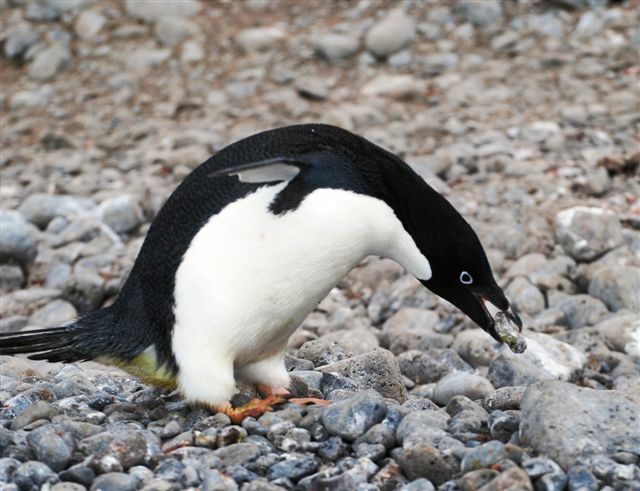 It was interesting to learn that these penguins lay two eggs at a time. They build their nest out of rocks and it was quite entertaining to watch as they carried the rocks back and forth some steeling rocks from their neighbors. They are constantly on the lookout for petrels and skuas as these birds will steal the eggs from their nests. 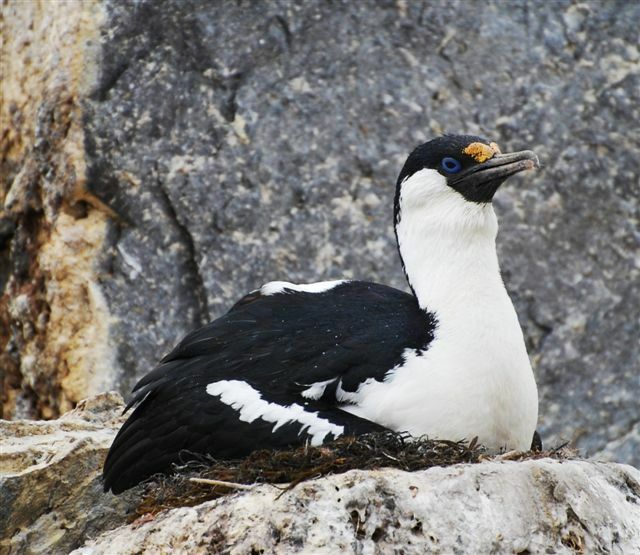 Along the beach we got our first glimpse of a colony of Blue Eyed Shags, a type of cormorant, nesting. There was also a crab eater seal taking a nap along the beach. We diverted our path to stay clear of him as they can have a nasty bite. 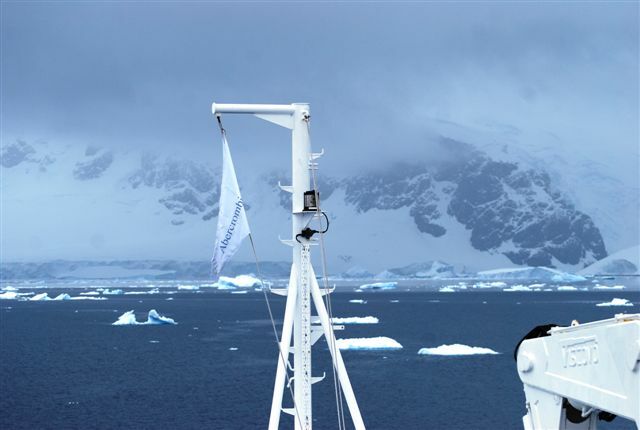 This evening and during the night our ship will be moved back through the Antarctic Sound and across Bransfield Sound to the South Shetland Islands. The Captain has just advised us that our weather is changing. It is going to be a rough trip across the sound and everyone is told to make sure everything in the cabins are secure. We soon notice that lots and lots of little white bags have been strategically placed through the halls. How rough will it get? Just after turning in, the seas begin to pick up. The boat rocks and rolls all night. We are just off Half Moon Island in the Shetland Islands. The weather continues to be nasty. It is cold, rainy, and windy ( 30 knot winds with gust to 50 knots). Despite the weather, our crew puts the dinghies over in hopes of getting ashore. Several of the naturalists attempt a landing but with these winds it is impossible. We were excited about seeing the colony of chinstrap penguins on this island but in these conditions it is just not practical. We continue south to our next destination, Deception Island. Here we hope to swim in the warmest waters around as there is a geothermal spring in the harbor. This will be our only opportunity to swim in Antarctica. The winds continue to howl with gust to 45 Knots. Things are tense on the bridge as we approach the entrance to the island. Both the Captain and Ice Captain are in deep discussion. Entrance into this doughnut shaped harbor is through a very narrow channel known as Neptune’s Bellows. The wind funnels off the mountains to make this approach very tricky. To complicate matters, there is a sunken ship right in the middle so our ship has to travel within 50 feet of the rocky shore. 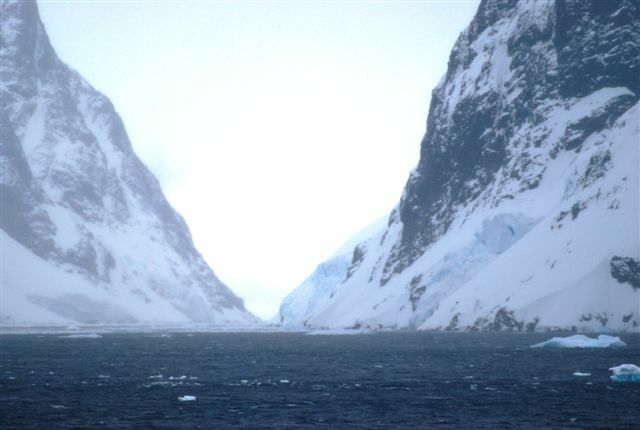 Having entered this harbor many times, our Ice Captain advises Captain Patrick not to attempt this entrance. He feels the winds are too strong and would blow us onto the reef. Really wanting to enter the caldera, Captain Patrick slowly edges forward for a closer look. He soon comes to the same conclusion as the Ice Captain. Even if we were successful at entering the harbor, he felt we may not be able to get out. The wind is just too strong. A ship sunk here two years ago doing the same maneuver. We anchor just off the entrance for two hours hoping that the winds will subside. The weather does not improve and finally we have to push on. We are all very disappointed about not being able to make landfall . Jeff was especially disappointed as he really wanted to do the Polar Plunge. I guess that gives us a reason to come back some day. The weather remains nasty and the seas continue to build as we move south. The winds are gusting to 55 knots and the seas are building with some 18 footers. Spending so much time on the bridge, we have made friends with Captain Patrick and he invites us to cocktails with him this evening. 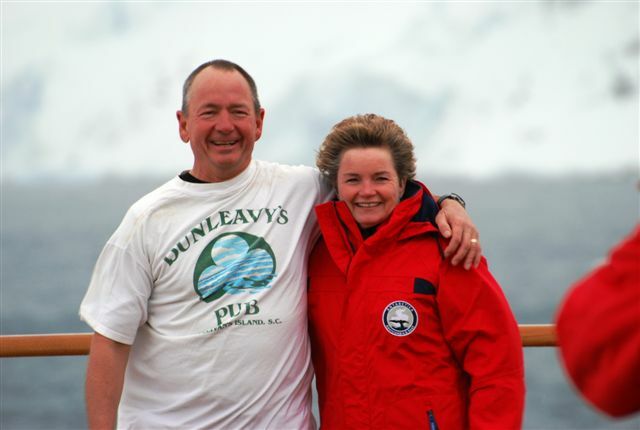 During our visit with Captain Patrick, Marty shares a personal family story with us. His grandmother was one of the youngest survivors of the sinking of the Titanic and her story is gripping. Captain Patrick then regales us with his story of being captured by Somalia pirates in 2008. These two tales make for an entertaining evening. 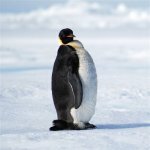 We feel fortunate to be in Antarctica today as it is the 100th anniversary of Roald Amundsen conquering the south pole. We are anchored in Wilhelmina Bay just off Enterprise Island. It’s name comes from the “enterprise” of whalers who operated out of here between 1916-1930. 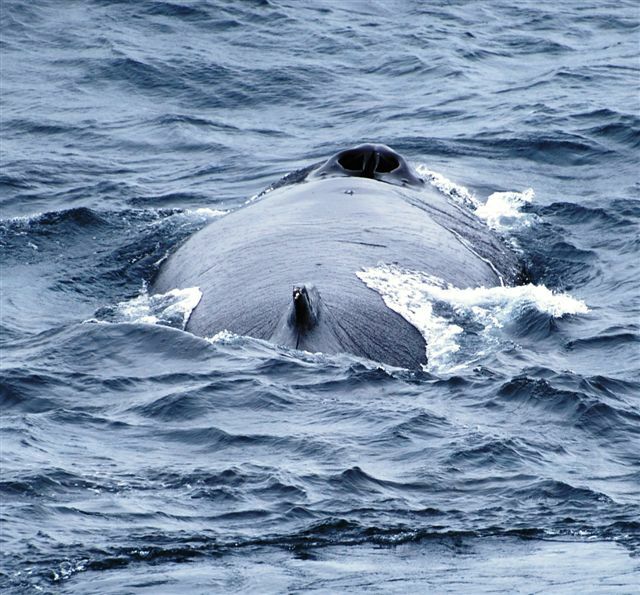 We take a zodiac tour around an old whaling ship, The Gouvernoren. This ship caught fire in 1915 and sunk. There are also several smaller wooden boats on the shore which were used by the whalers. It is especially interesting to see two private sail boats anchored along side the old ship. This is the first and only sighting of any privately operated boats in these waters. What a fantastic trip they must be having! This afternoon we continue south through the Gerlache Strait to our next stop at Cuverville Island. 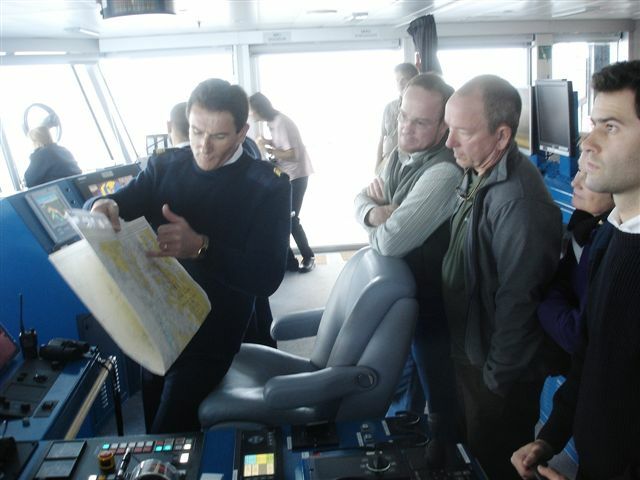 We again spend our day on the bridge watching as Captain Patrick maneuvers the ship through the ice. Once securely anchored, the Ice Captain gives Captain Patrick a round of applause. 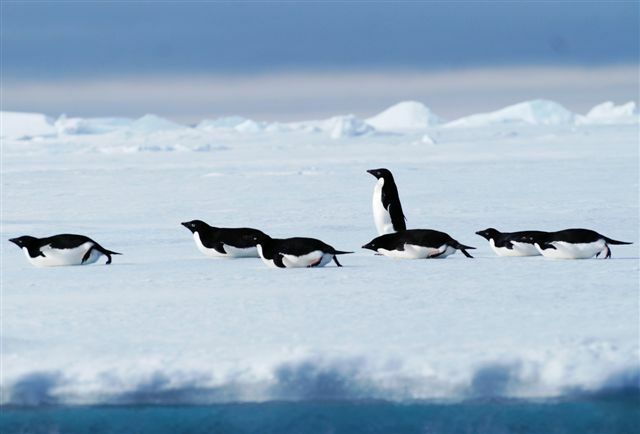 It is truly amazing how they navigate through these dangerous ice strewn waters. 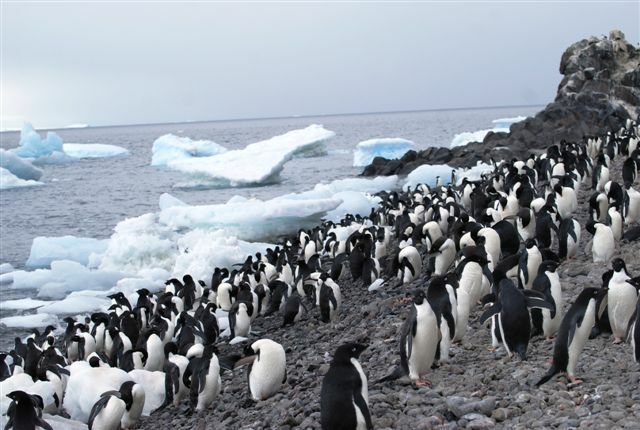 Cuerville Island is home to a large colony of gentoo penguins. It is again great fun to watch the penguins parade around the island. We also get a chance to stretch our legs with a 1000 foot vertical climb to the top of Cuerville where we are rewarded with fantastic views of our surroundings. As remote as this seems, we are still 1500 miles from the South Pole. 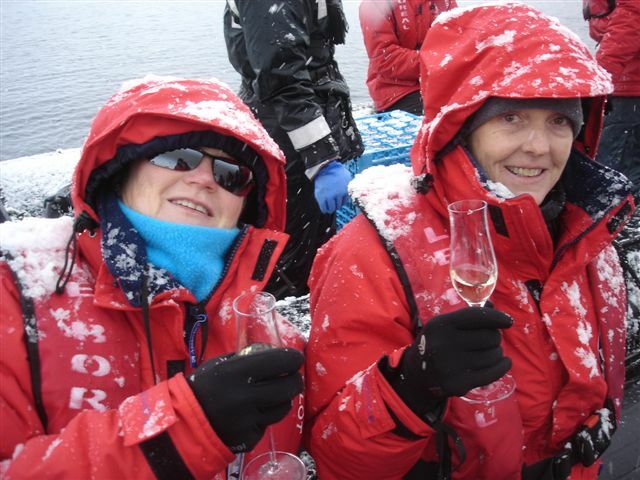 Tonight we are again awed with another spectacular cruise, this time through the Neumayer Channel. The scenery is beyond description. Navigating through the monstrous bergs with mountains towering down to the sea on both sides is far better than anything we could have imagined. 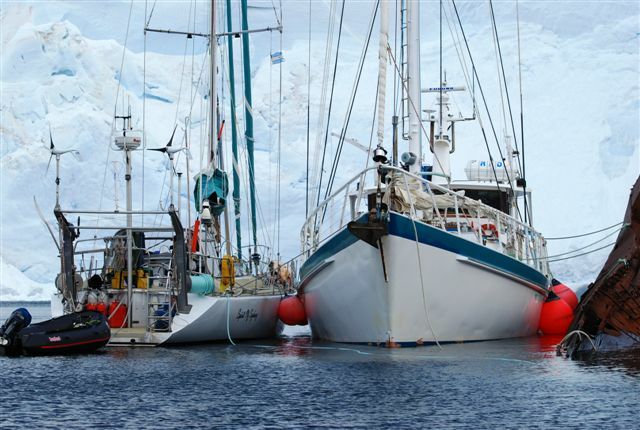 We can not believe Captain Patrick is willing to navigate Le Boreal through these icy waters. It is magical to be on the bridge for this passage as we watch Captain Patrick and Captain Aye skillfully work their way around the ice. What a way to end another great day in Antarctica. We awoke this morning at a new anchorage, Author Harbor just off Anvers Island. We are now 64 degrees 46’ South. 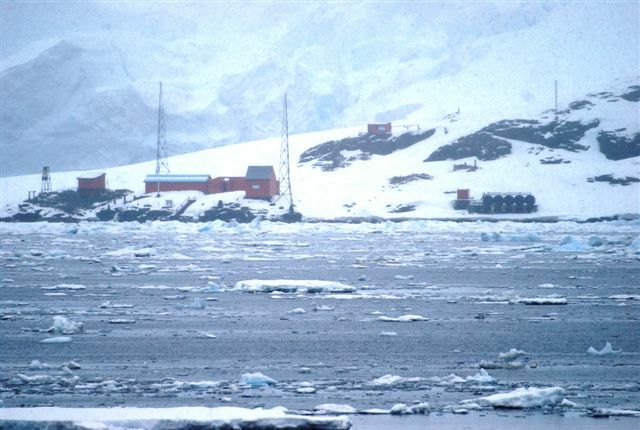 The harbor is full of a type of ice called “Brash Ice”. At first the captain was not sure he could get in due to all the ice. Captain Patrick is determined and didn’t let the ice stop him. 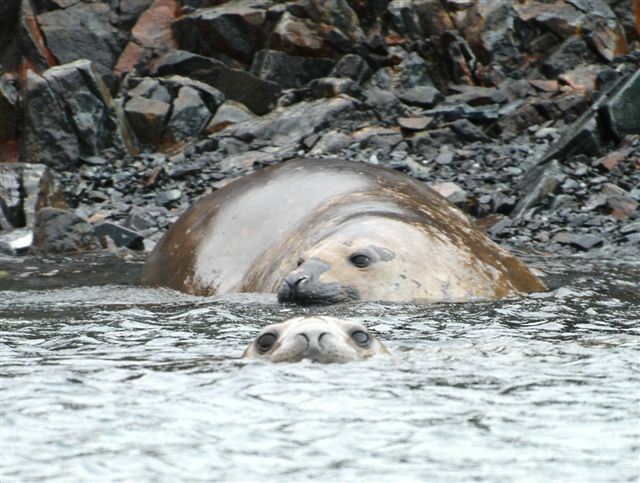 Our first trip of the day is a zodiac tour through an area known as Elephant Rocks. It is blustery with 20-30 knot winds and rain. 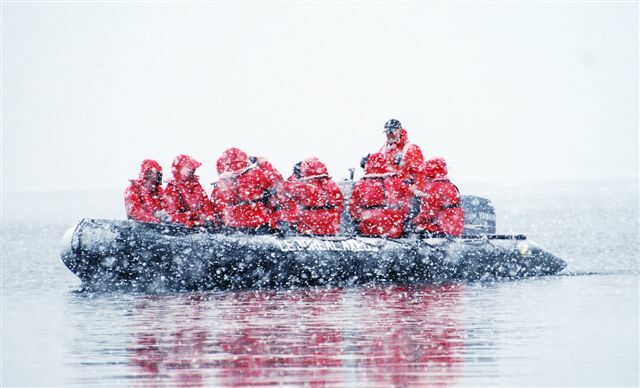 Even in these nasty conditions, everyone has a spectacular time out on the water. We get our first glimpse of several juvenile elephant seals. 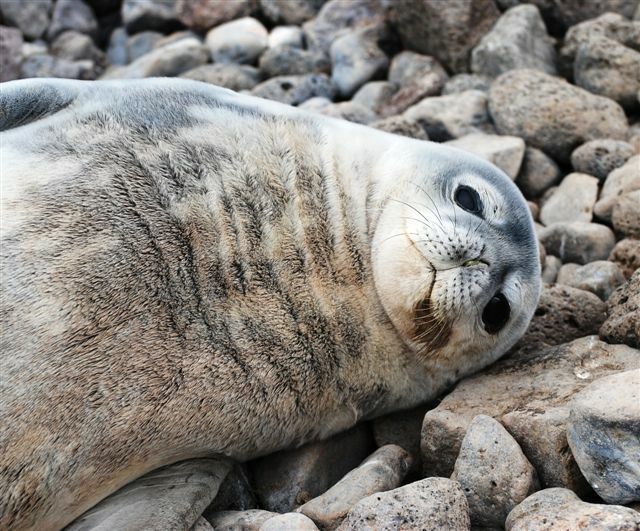 Unlike all the other wildlife, these seals seem very shy and don’t let us get too close. 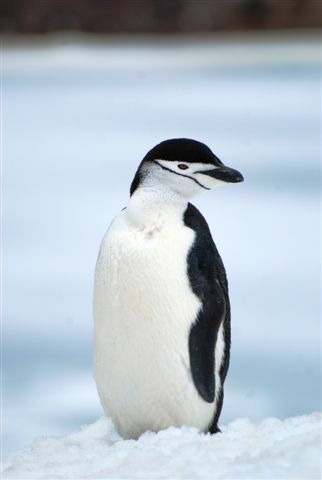 There are several groups of chinstrap penguins atop the rocky ledges also. This afternoon we get a chance to visit Palmer Research Station, one of the highlights of our trip. Less than 12 ships per year are able to visit this American research outpost. 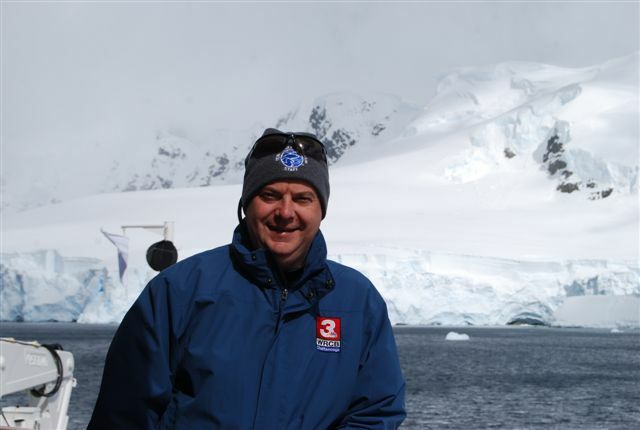 Dr. Jim McClintock, a marine biologists and professor from the University of Alabama at Birmingham, is one of the scientists at Palmer. He has been a guest lecturer aboard Le Beoreal this week and we have enjoyed getting to know him and hearing about his research. One of the reasons for selecting this trip was the fact that this is a Philanthropic trip of Abercrombie and Kent and today we will be donating new equipment to the Palmer Research Station. Part of our trip fees were used to purchase a new $12,000 carbon dioxide delivery system for the scientists at Palmer. And in return we get the privilege of visiting their research facility. 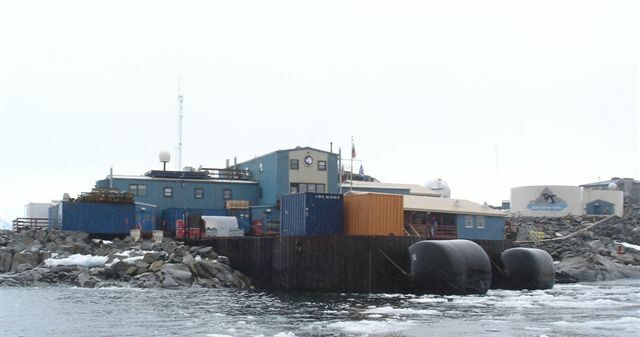 This is one of only three American research stations in Antarctica, the others being one at McMurdo Sound and the third at the South Pole. 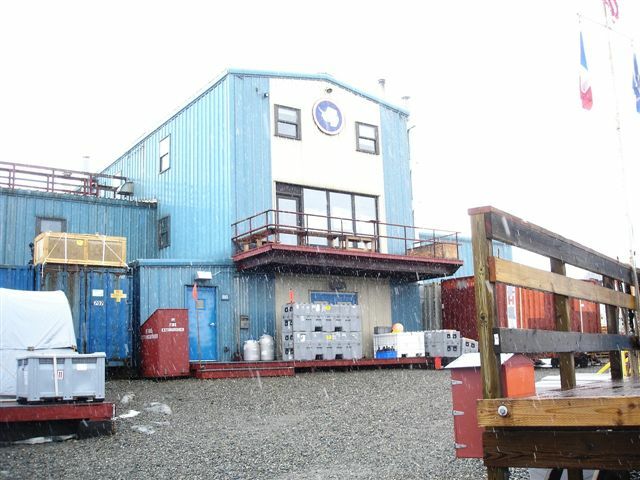 Palmer is the smallest with only 42 researchers living here during the peak season. Dr. McClintock has been coming here for almost 20 years and is doing research on Global Warming . Through his research, he has also found a chemical compound in some of the invertebrates that is currently being tested as a possible cure for melanoma. Anyone wishing to learn more or contribute to this great research can get more information at his web site http://www.uab.edu/biology/mcclintock. 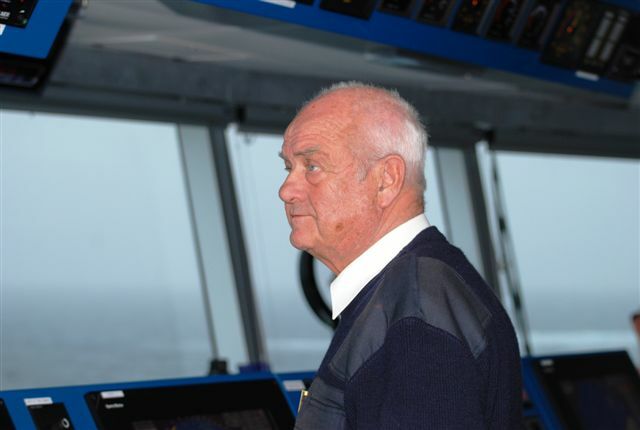 This evening we take our usual positions on the bridge as Captain Patrick navigates the breath-taking Lemaire Channel. Our Ice Captain, Captain Aye, has his binoculars out scanning the horizon. This seven mile long channel is only one mile wide and today is choked with ice. As we weave through the ice bergs, the decision is finally made to turn around. The ice is just too thick for us to push through. The Captain did give it a good try. However he has to constantly take in to consideration that no one is coming to rescue us if we have a problem. We are truly alone out here. Although we can not make this passage, we have been amply rewarded with stunning scenery and unforgettable views from the bridge. I don’t think you could find cruising better than this anywhere in the world. Sunset is now at midnight and sunrise is at 2:22 AM. It never really gets dark and it is hard for us to leave this breathtaking scenery for much need sleep. I think everyone on the trip is sleep deprived for our entire voyage. There is just too much to see. We awoke this morning in Neko Harbour along the west coast of Graham Land. We are now 64 degrees 50’ South. Today we take our first authentic foot steps on the Antarctic Continent. All of the other landings have been on islands. 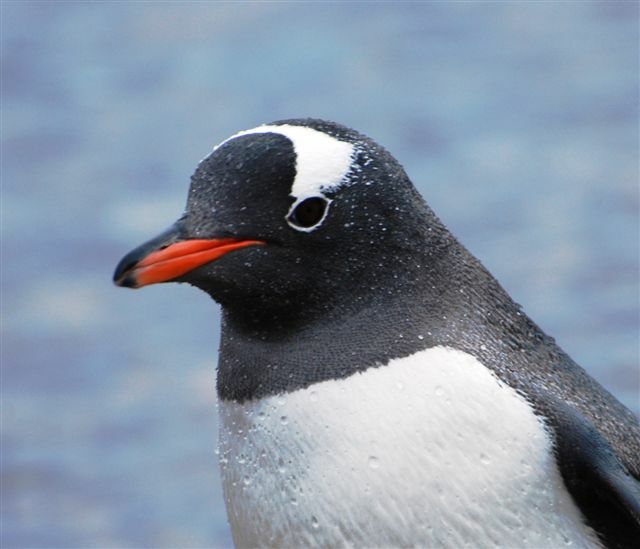 There is a large Gentoo penguin colony here. We also spot a leopard seal in the bay hunting penguins. Luckily he is not successful. 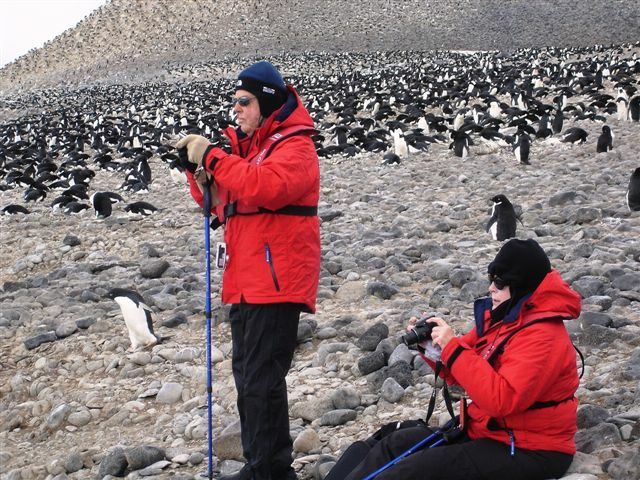 We again spend our time observing the penguins as they parade back and forth. They seem to have made their own network of trails for traveling between the rockery and ocean. This afternoon, Le Boreal is moved to Paradise Bay. Supposedly, this harbor is one of the most scenic of our trip being surrounded on all sides with mountains. Today conditions are not so good and we have almost zero visibility due to heavy snow, fog, and low clouds. The harbor is also choked full of ice. Although we are forced to abort our last landing ashore, we do get the opportunity for one last zodiac ride exploring the iced in harbor. Even with these freezing conditions, almost everyone is game for this. It is truly an amazing experience as we push through the ice and explore this pristine harbor in almost white out conditions. To celebrate our landfall on this continent, the crew of Abercrombie and Kent surprises us with a zodiac stop to a neighboring dinghy carrying Champaign. What a fitting way to memorialize touching this hard to reach continent. Unfortunately our time here has come to an end and we must start making our way back north. The “Drake Lake” that we experienced on our trip south has now turned into the “Drake Shake”. Just after reaching open water last evening, the wind and seas began to pick up. We were soon experiencing 70 knot winds with gusts to 75 knots and seas 20-30 feet. We are paying the “Drake Tax” with these hurricane force conditions. The white paper bags again appear in all the hallways and Captain Patrick advised everyone to sea proof their cabins. During the night, our outside balcony partition broke loose and banged relentlessly all night long. With seas coming over the side rails, it was too rough to go outside and secure it. Luckily things calm down during the day and by our second day at sea we are again experiencing the “Drake Lake”. Things certainly change quickly down here. 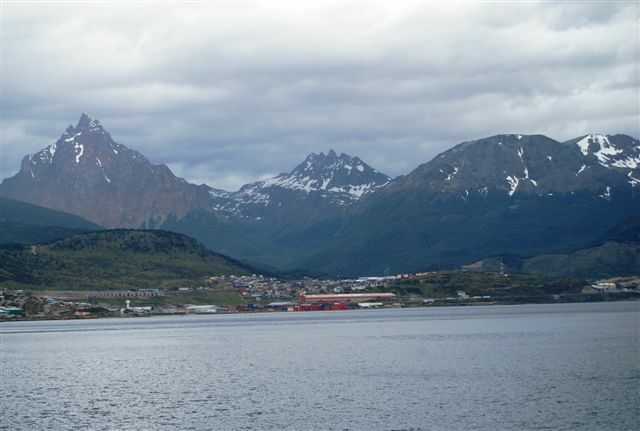 By early afternoon we enter the protected waters of the Beagle Channel. 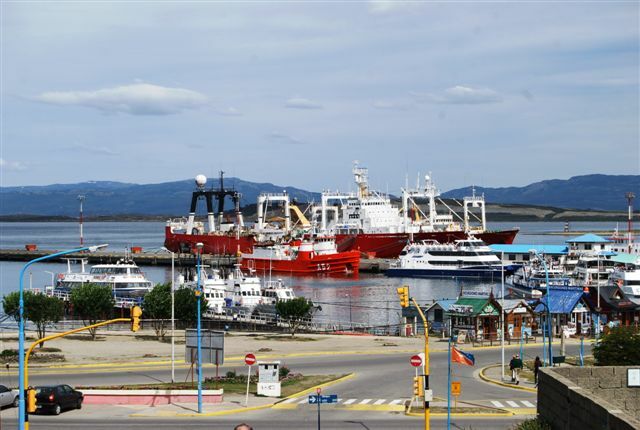 There is a somber mood aboard as Le Boreal is brought along the town dock in Ushuaia. I don’t think anyone aboard is ready for this trip to end. This entry was posted on December 26, 2011 at 2:30 pm. You can follow any responses to this entry through the RSS 2.0 feed. You can skip to the end and leave a response. Pinging is currently not allowed. 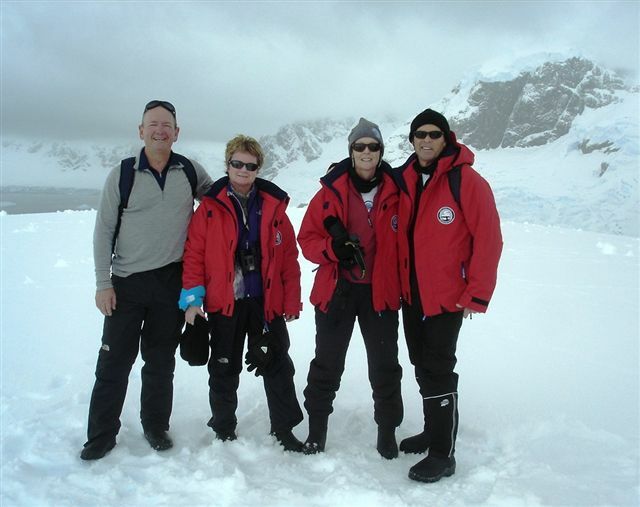 1 Response to "Antarctica: December 2011"
Wow, what a trip! Great explanations of the adventure too Susie, thanks for the time you take to share these adventures! We will see you two in the Spring. The lakeshore in Grand Haven looks something like Antartica about now! :>) But fortunately the boat storage building is warm and bright and allows us to get our “fiberglass fix” over the winter as we do our annual maintenance and upgrades….well, back to work now….